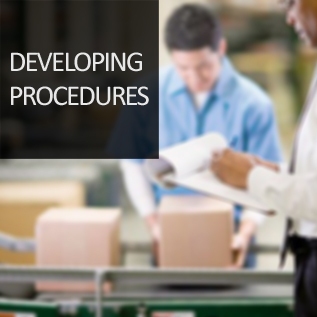 MSI’s documented procedures have been used and revised for over 14 years and by over 600 customers to achieve ISO 9001, ISO 13485, ISO 14001 or AS 9100 certification(s). MSI’s developed procedures have been widely accepted by many Registrars. The format, instructions, and tracked changes, have all been used to generate every ISO/AS procedure for MSI’s clients and not a single customer has ever failed a registration audit. Fully addresses every aspect of the ISO 9001, ISO 13485, ISO 14001 or AS 9100 standard. Has a team of experts review documents for errors, redundancies, and coherence to ensure our clients’ proprietary documented procedures are excellently prepared. Streamlines procedural inefficiencies through document revision(s). This service will provide peace of mind for our customers looking to smoothly transition to a new revision of a standard, those looking to certify to an additional standard, those looking to recertify after having a lapse in certification, or anyone looking to certify for the first time.